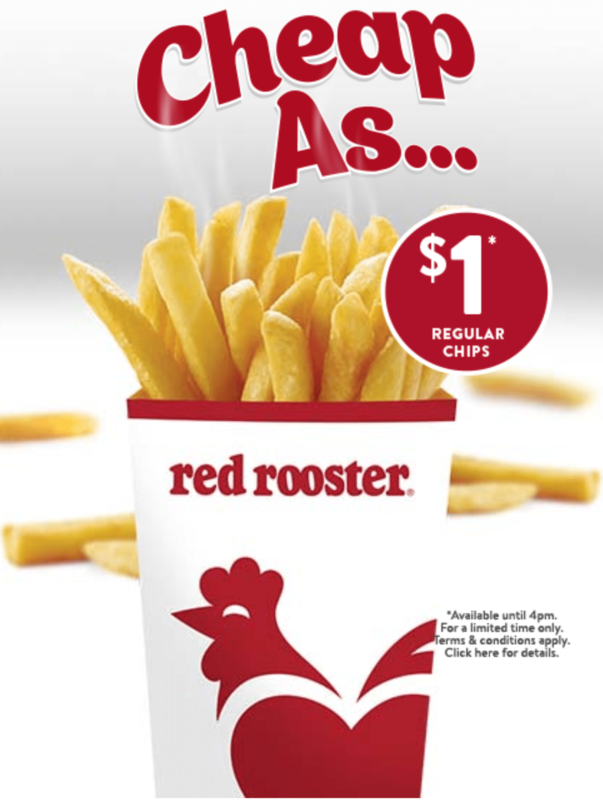 Click here for Red Rooster’s latest $2 Large Chips offer! Until June 24 2018, Red Rooster are offering $1 Regular Chips! They’re thick cut premium potatoes with Red Rooster’s signature seasoning. It’s available before 4pm, excluding QLD, until June 24 – excluding delivery, airports, stadiums and catering. You can order a maximum of 4 chips per transaction. Click here to find your closest Red Rooster store to take advantage of this deal! Thanks to lockster on Ozbargain for the latest reports on this deal.